Taking care of your skin isn’t as simple as washing your face. This is especially true if you have oily or dry skin or are prone to pimple breakouts. In fact, if you don’t follow an appropriate regimen, you might even make the problems worse. Here’s how to deal with the most common skin problems that both women and men experience. 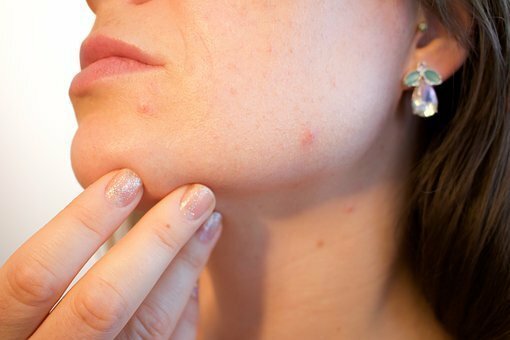 Acne is a general term that refers to a host of skin problems caused by excess oil clogging the pores of the skin; this usually manifests in the form of pimples, blackheads, and whiteheads. And while it’s a common problem among teenagers, adult acne can last well up to your 30s or even 40s. Use a mild face wash no more than twice a day to avoid drying up your skin. Choose products with ingredients like benzoyl peroxide and salicylic acid to keep breakouts at bay; however, these components may sometimes cause dryness, so you should also invest in a moisturizer that’s suited for your skin type. If you are fond of using makeup, make sure they are noncomedogenic as these products are less likely to clog your pores. Finally, as every dermatologist would advise, don’t pop or squeeze your pimples as this would irritate your skin even more. The size of your pores is determined by your genes, so you really can’t make them smaller per se. However, if you want to know how to minimize pores, the answer is simple: keep your face clean. Dirt, dead skin cells, and leftover makeup can clog your pores and make them look bigger and more visible. Wash your face twice a day using a gentle, deep-action cleanser to remove these unwanted substances from your skin. For hard-to-remove makeup, use cleansing oils first before washing your face. Exfoliating twice or thrice a week, depending on your skin type, is also recommended to keep your pores clean. Check the label for ingredients such as alpha hydroxy acid, which helps remove dead skin cells more effectively, and beta hydroxy acid, which helps melt extra sebum. Like the size of your pores, puffy and dark circles under your eyes can be caused by your genes. Stress and lack of sleep are also exacerbating factors. Other causes of dark under-eye circles are hyperpigmentation and lack of moisture. If you have thin skin under your eyes, you should try products enriched with retinol to boost the production of collagen. For hyperpigmentation, eye creams with vitamin C and licorice extracts are good choices to lighten the area over time. Sunscreen is also essential to prevent the darkening of the skin in the first place. Dark circles under your eyes may also be caused by harsh makeup removers. Use gentle cleansing oils to remove eye makeup, especially waterproof mascara and eyeliner. When you wipe off using a soft cloth or makeup wipes, don’t rub back and forth; instead, use gentle strokes following one direction so you don’t irritate or inflame the skin under your eyes. When you have oily skin, you might be tempted to wash too often or scrub too hard to remove the excess oil. However, doing this will also remove the oils that protect your skin and give it a healthy, dewy glow. Wash your face twice a day using two cleansers: one with oil-absorbing ingredients like salicylic acid and one that’s a little more gentle. For dry skin, the best facial cleansers are those with a creamy, milky formula. Ingredients like hyaluronic acid will also help your skin recover lost moisture by binding collagen and elastin. This makes your skin more more supple and has an added bonus of keeping your pores looking smaller, too. Moisturizing is also important. For oily skin, opt for lightweight formulas that contain hyaluronic acid or natural ingredients like lemon peel extract (which absorb extra oil). For dry skin, ingredients like jojoba oil (and other natural oils), shea butter, and vitamin E are good options. Age and sun exposure are the primary culprits behind uneven skin tone and dark spots on your skin. Skin care products with vitamins A, C, and E helps reduce pigmentation and smoothen the skin’s overall texture. Amino acids, on the other hand, work to slow down the production of melanin. Topical treatments like bleaching creams work best for darker, more stubborn spots. Just make sure to use these products according to to the prescribed instructions as some ingredients like hydroquinone may cause discoloration if used improperly. If you're looking to find out more about how to treat hyperpigmentation check out this article on kojic acid soap. Using sunscreen with a minimum SPF of 30, meanwhile, stops the darkening of existing dark spots and prevents the formation of new ones. Steer clear of products with avobenzone or oxybenzone, which clog up your pores. Another key to achieve better skin? Live a healthier lifestyle. Eating healthy food, exercising regularly, and getting enough rest will help your body get rid of toxins and make your skin more radiant from the inside!